Magic Carpet Cleaning guarantees you perfect results every time, because of our advanced equipment and experienced workforce. Are there stains on your carpet? Then book Magic Carpet Cleaning stain removal service. A well-furnished house always attracts more attention and the sight of clean and comfortable living conditions is very satisfying. But maintenance alone can ensure that this beauty remains intact. And we can do that by providing our carpet cleaning services in Bush Hill Park EN1. Magic’s carpet cleaners work towards the cleaning of carpets in homes and brings back the lost charm to the rugs and sofas and certainly brings back smiles to the faces of families worried about carpet cleaning. The carpets get weary after regular use and accumulate dust from feet and stains from various spills. Steam cleaning by Magic London Carpet Cleaning in Bush Hill Park EN1 will remove all marks and high quality cleansing chemicals will prevent the stain marks from appearing after few days. There is no compromise on the quality of products used for cleaning the carpets in homes and offices and the nominal charges for these services is encouraging more people in Bush Hill park to go for furnished apartments and live in style. Our customer support lines are open every day of the week. 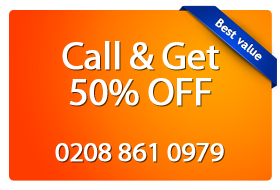 Just call 0208 861 0979 to receive more information about our carpet cleaning services. By giving us an information about your property, you will get a free, no obligation price quote. Don’t hesitate to call us right now.